When failure is NOT an option, what could possibly go wrong? 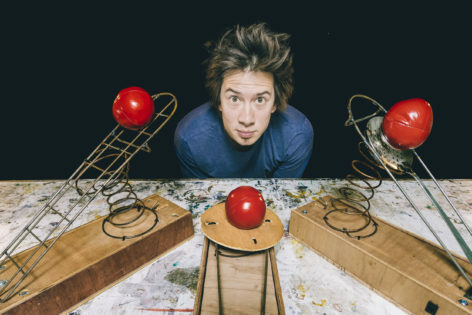 This is a catapult-tastic evening of clowning, contraptions, comedy and courage, as one man’s belief in the near impossible is put to the test. Part non-verbal circus performance, part behind the scenes ‘making of’, Long Shot will have you on the edge of your seat. Either way, it’s going to be a blast. PanGottic is an international award winning company who perform on the street, in theatres and wherever there is an audience. Our work mixes circus, physical theatre and clowning to make shows that are accessible for all.